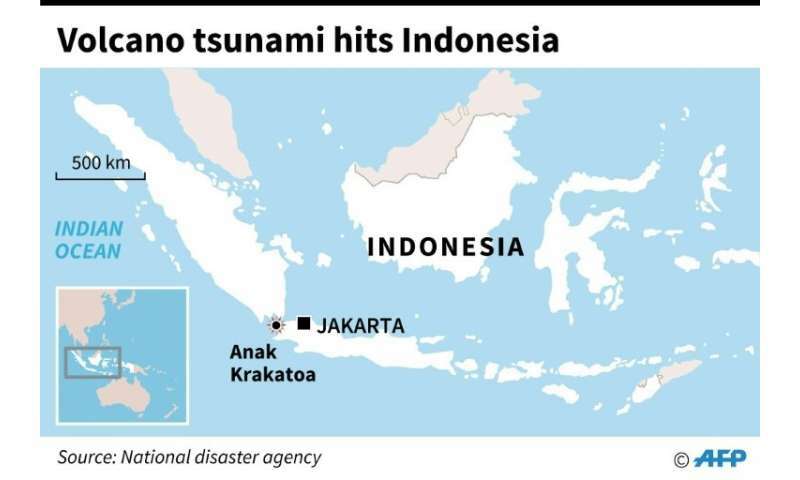 A volcano-triggered tsunami has left at least 222 people dead and hundreds more injured after slamming without warning into beaches around Indonesia's Sunda Strait, officials said Sunday, voicing fears that the toll would rise further. Dramatic video posted on social media showed a wall of water suddenly crashing into a concert by pop group "Seventeen"—hurling band members off the stage and then flooding into the audience. 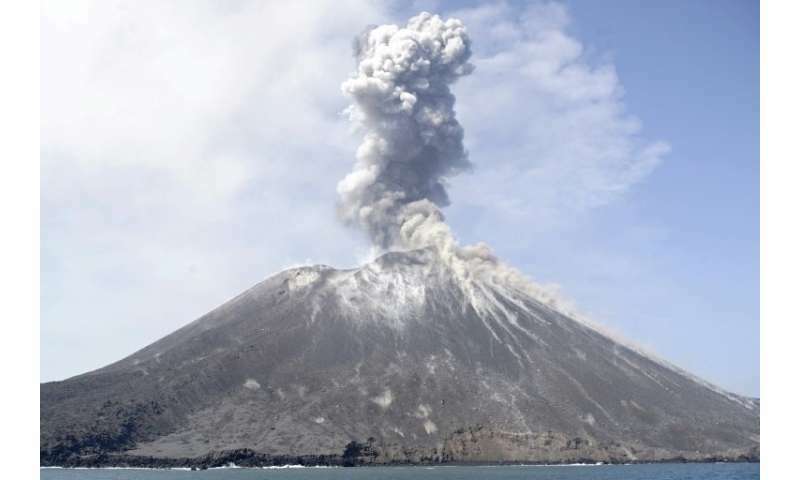 "I had to run, as the wave passed the beach and landed 15-20m inland," he wrote on his Facebook page. "(The) next wave entered the hotel area where I was staying and downed cars on the road behind it." 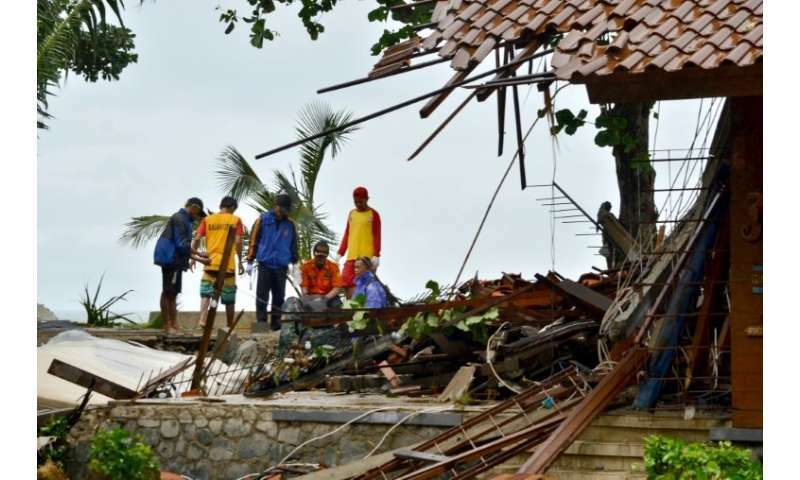 Asep Perangkat said he was with his family when the wave surged through Carita, carving a swath of destruction, dragging cars and shipping containers. 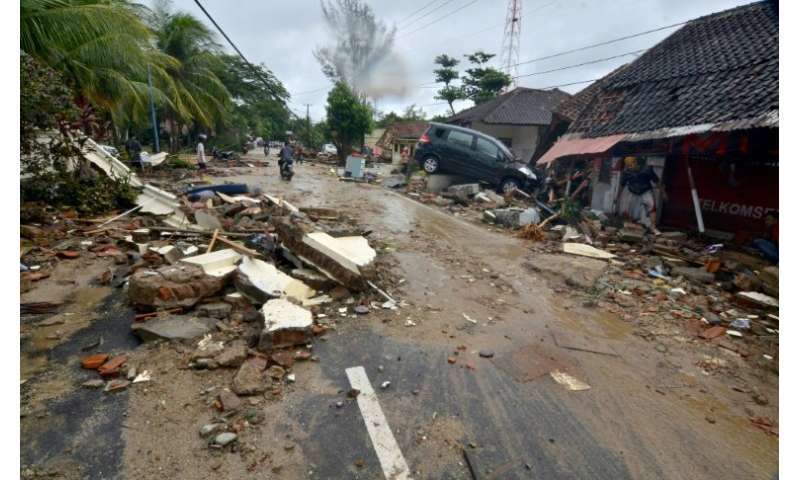 Aid workers were helping to evacuate the injured and bring in clean water and tarpaulins to provide shelter, she added, saying the group was preparing for the possibility of diseases breaking out in the tsunami zone. "We are praying for recovery and healing," he tweeted. "America is with you!" The UN and European Union both pledged to mobilise humanitarian support if requested by Jakarta. 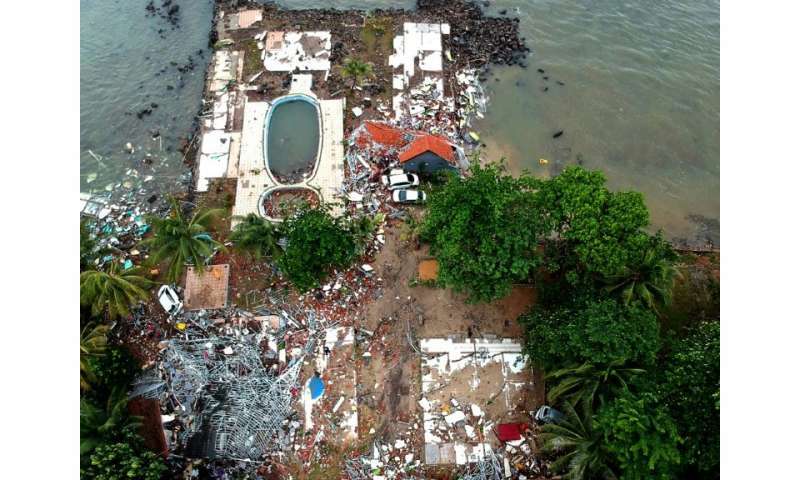 "This is so close to the affected shorelines that warning time would have been minimal given the high speeds at which tsunami waves travel," he said. 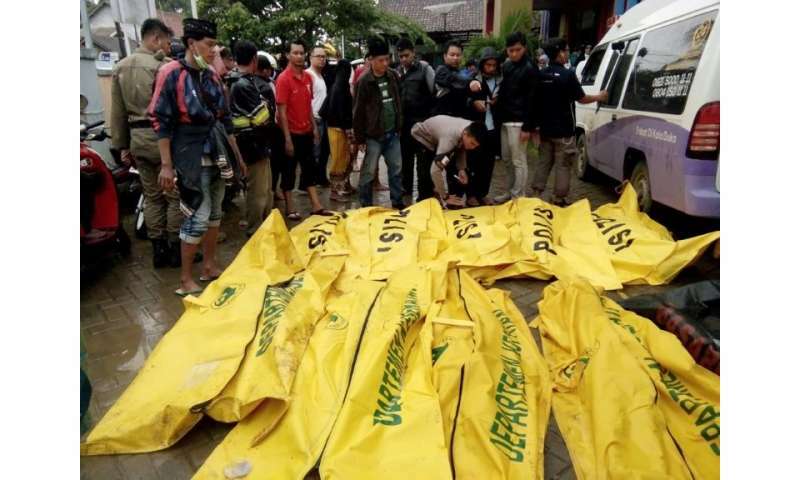 Large numbers of casualties were recorded at two hotels in Pandeglang district, Nugroho said, without elaborating. 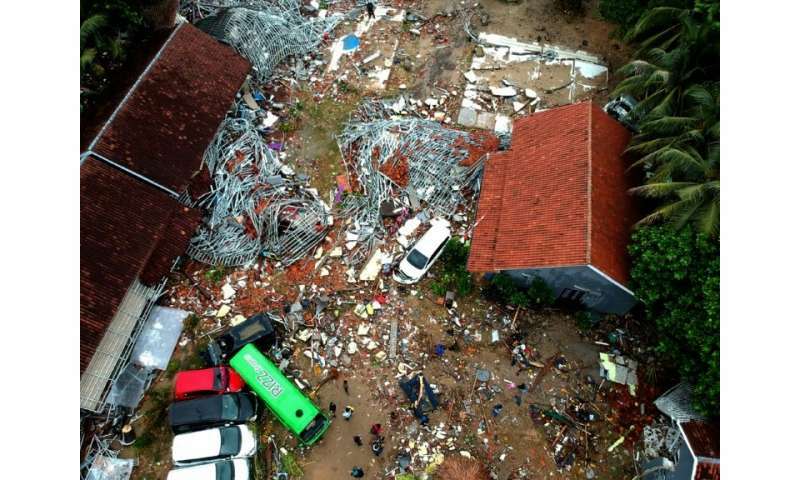 Heavy equipment was being transported to badly hit areas to help search for victims, and evacuation posts and public kitchens were being set up for evacuees, Nugroho added.